Please put up your Reflections post between now and Friday, May 8. 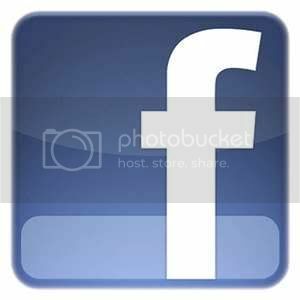 AFTER your post has gone live, add the link to the Linky List below. 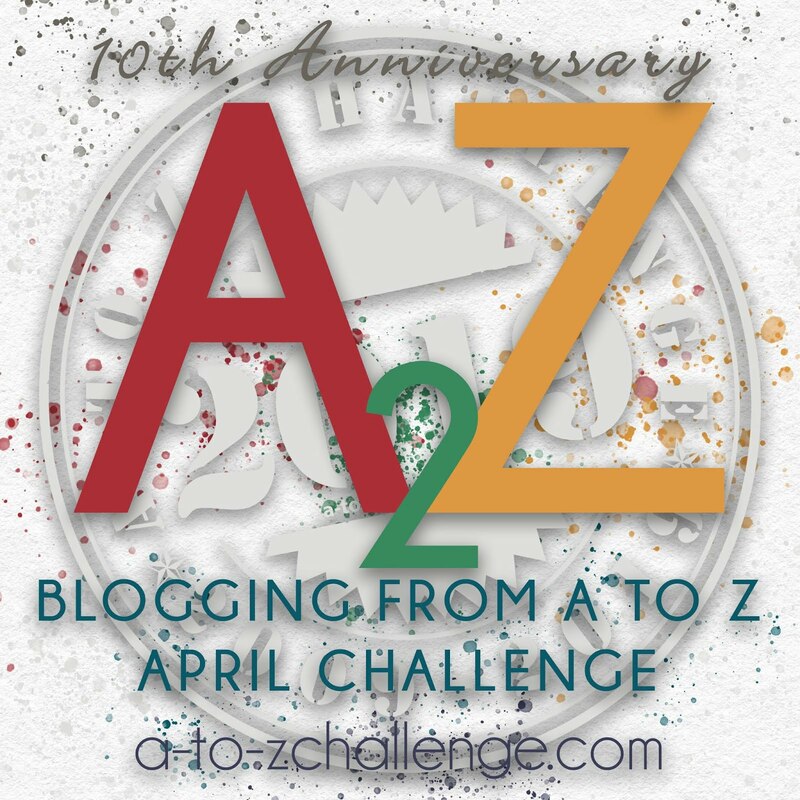 Enter the link that goes DIRECTLY to your Reflections post and not your general blog address. The list will be accessible for the remainder of this year. Be sure to grab the badge. Just added my reflections. I'm taking a hiatus break but will return to read the reflections later. So many great reflections posts already entered! I added my reflections post this morning. It is and was such a brilliant challenge. I'm not doing a reflection post, but plan to visit all that do; I would say my biggest frustration is the inability to leave comments on some people's blogs. I'm going to see the Avengers movie in a few, so I'll be back afterwards (and fangirling I imagine) to hop around the linky list. I've made a folder to bookmark blogs I discover that I want to go back and read their posts. Just submitted the Reflections post. I can relate. Wish I would be commented and interacted more. I have found that 99.9% of the time it is possible to leave a comment. You have to be super flexible in doing so, though. I have jumped through hoops and commented on many a platform. Some people only commenting on my Google+ page, and did not even click through to my blog. I am not saying they have to, but I have actually signed up from platforms from disqus to Google+ just to make sure I could comment. However, one thing I addressed in my reflections post is the blogger.com vs WordPress divide, which I think it causing the difficulties in commenting. 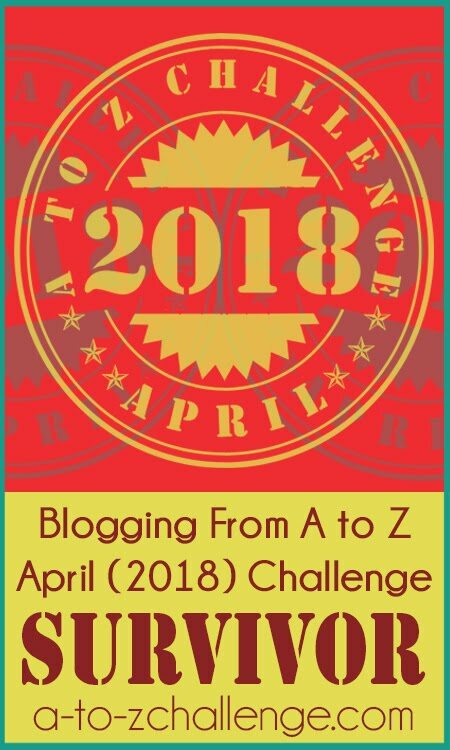 My solution is the A to Z Challenge create a commenting widget everyone would use during the challenge. That would solve many an issue. I'm so sorry I messed up in adding my link - exactly what I was afraid of. No 260 and 262 do NOT work. PLEASE can the linky list remove these 2. I am seriously sorry. Will try to rectify tomorrow. 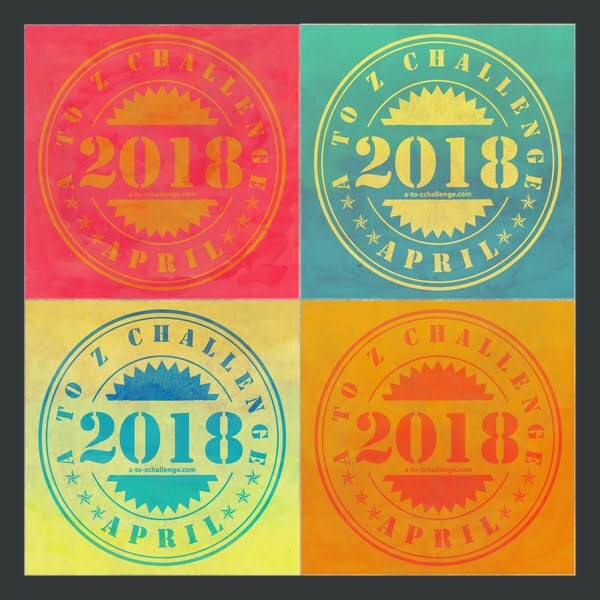 Thank you for organizing this challenge. It was my first but probably not my last. Bravo everyone for finishing and thank you for your visits to my challenge. I survived the challenge and I'm proud of it. Thbank you so much to Z Team. Took the challenge first time and I have decided that I'll take it every year from now onwards. The basic Wordpress and Blogger comment forms are always easy to comment on, provided the blog author hasn't put in word verifications. Third party comments forms, like Disqus and Facebook, and even Google+ for that matter, can be a deterrent to leaving comments. I've added my reflections.Thanks to all! I've added my reflections post. thanks everyone for visiting. 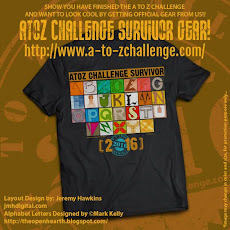 Fifth time for me this year, AtoZ was great fun. It was a great challenge. Thanks to all who organised, participated and visited. 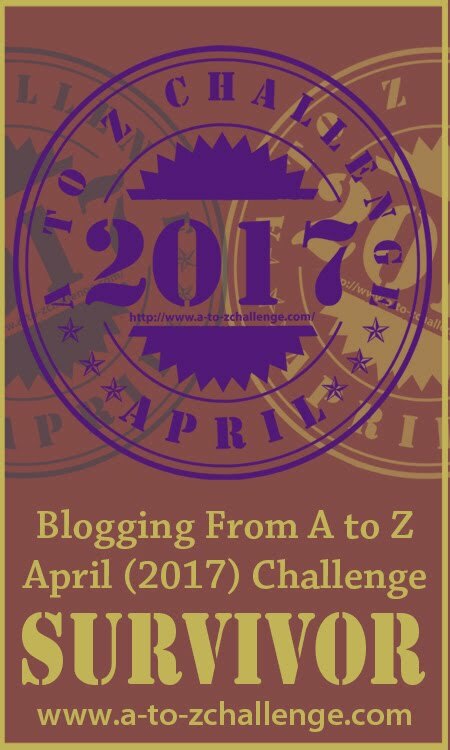 This was my first year to participate in the A-Z Challenge, and it was a wonderful experience. this was a great experience. As I went through the letters I found so much more I wanted to write about. Just never enough time is there?